We at mStakx believe that the technology can change the world for the better. 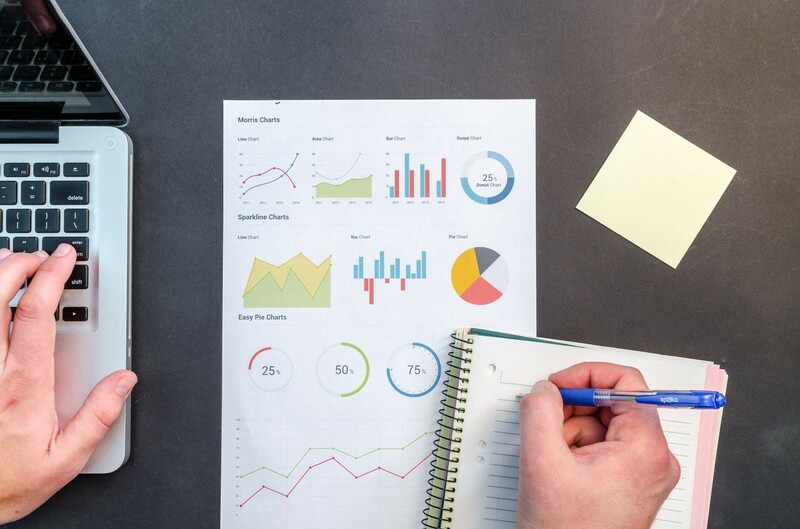 Therefore we help implement the latest and greatest technology into companies of our partners, whether it is DevOps processes, serverless and cloud infrastructure or Observability. For past few years a lot of emphasis had been given to having DevOps teams to take care of Infrastructure as Code (IaC). DevOps teams were seen as point of contact to automate every aspect of the infrastructure. However with advent of Observability, it is now evident that the DevOps team need not be solely responsible for IaC. 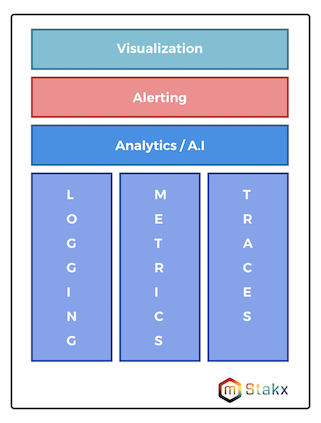 The more we explored Observability, we found that the three pillars of Observability: Logging, Metrics and Tracing were closer to the development teams as compared to the DevOps teams. 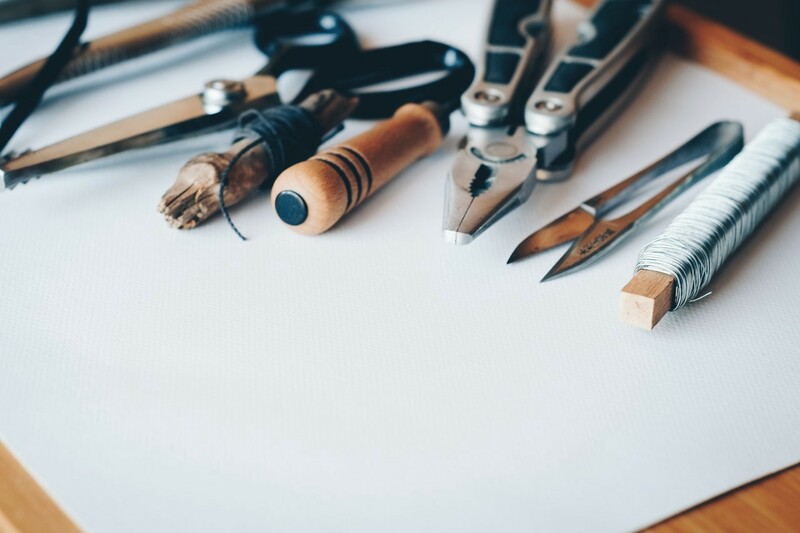 In a series of stories we will discuss how the Observability frameworks can be configured to give a holistic view of the application that is being developed in order to provide the engineering and product teams with insightful analytics. Observability is an engineering philosophy wherein you observe the data flowing through the whole system via a set of tools and practices, and turn the collected data points and contexts into useful insights. The concept of Observability is built on collecting every possible snapshot of the application. These snapshots can then be used to develop intelligent analytics upon the data collected, which can further be used to provide alerts and probably self-healing triggers into the system. 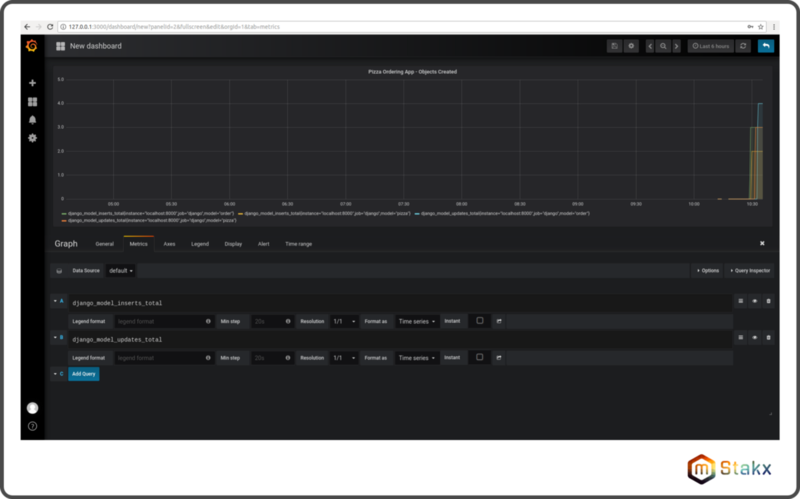 Final outcome of Observability stack are visualizations of these snapshots, analytics and alerts which could be useful to the engineering team. 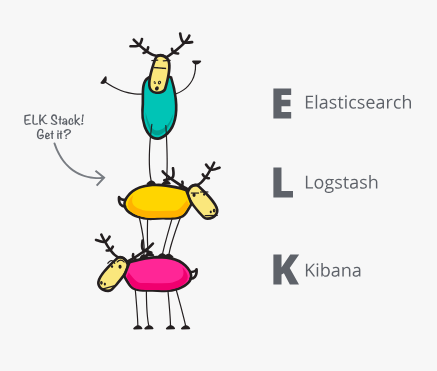 Formerly known as “ELK” Stack, “ELK” stood for three open source projects: Elasticsearch, Logstash, and Kibana. Elasticsearch is a search and analytics engine. 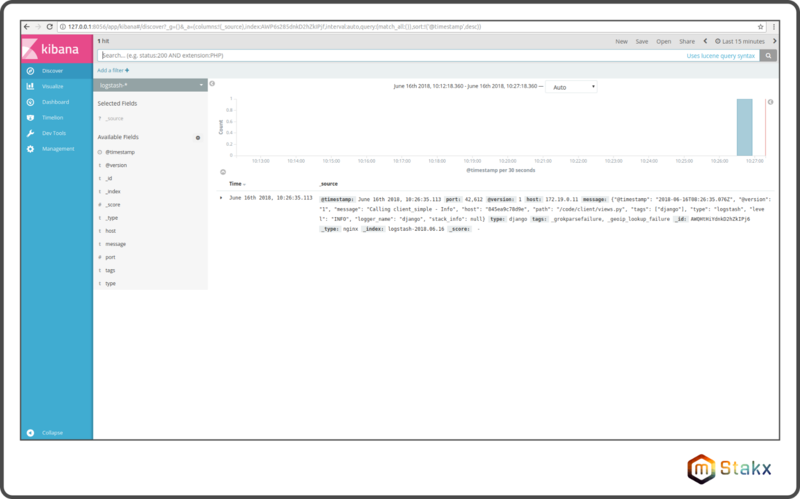 In context of Observability, Elasticsearch serves as a centralised data storage component to which varied data can be ingested, and from which data can be exported to any UI tooling framework for analytics purposes. 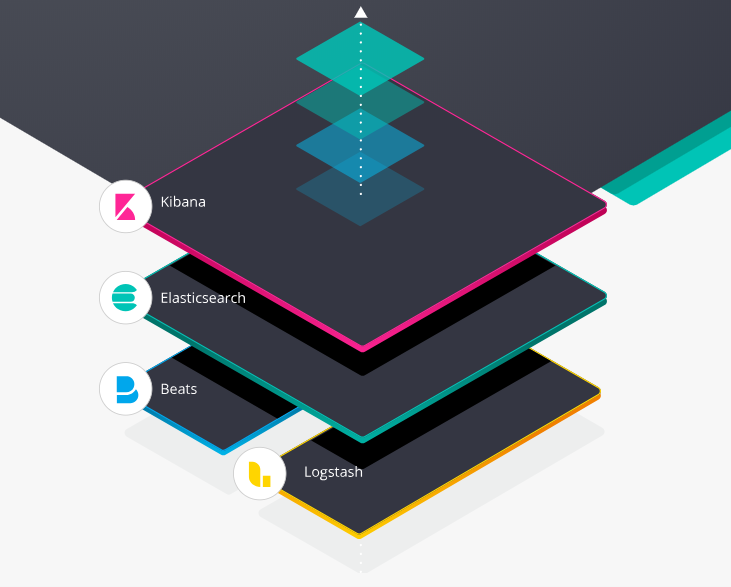 Logstash is a server‑side data processing pipeline that ingests data from multiple sources simultaneously, transforms it, and then sends it to a “stash” like Elasticsearch. 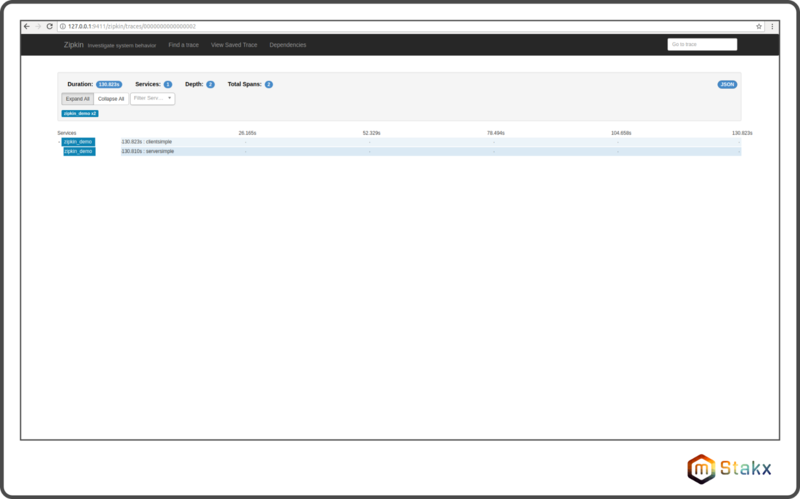 In context of Observability, Logstash serves as a Logging instrumentation component. mStakx is a proud Elastic partner and provides consulting services around DevOps and Observability use-cases using Elastic stack. 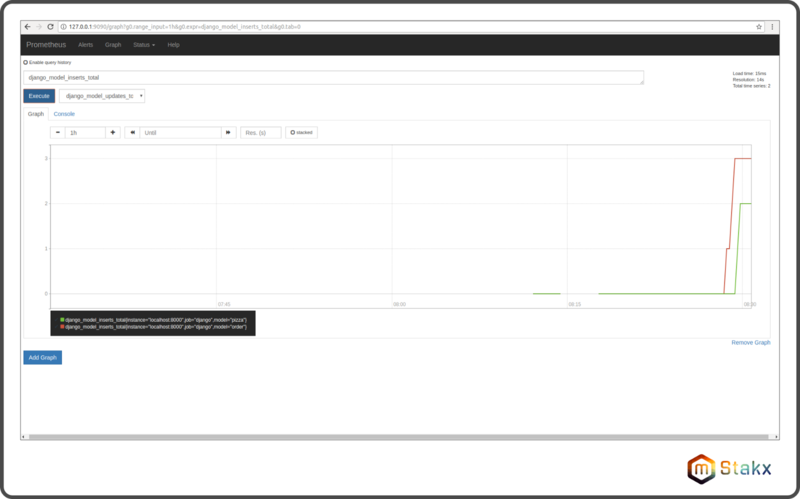 Kibana lets users visualize data with charts and graphs in Elasticsearch. 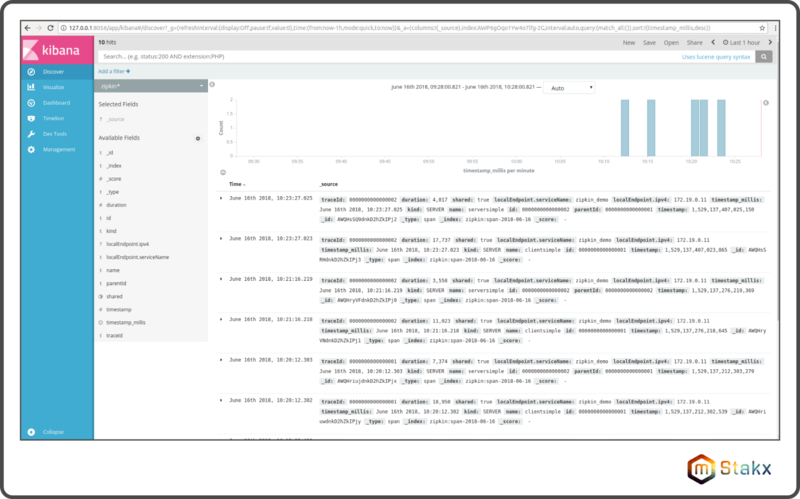 In context of Observability, Kibana serves as a Dashboarding/Analytics component. In 2015, Elastic introduced a family of lightweight, single-purpose data shippers into the ELK Stack equation called Beats. The community Elastic framework continues to grow stronger as the need for Observability finds firm roots in current engineering scenario. Zipkin is a distributed tracing system. It helps gather timing data needed to troubleshoot latency problems in microservice architectures. It manages both the collection and lookup of this data. 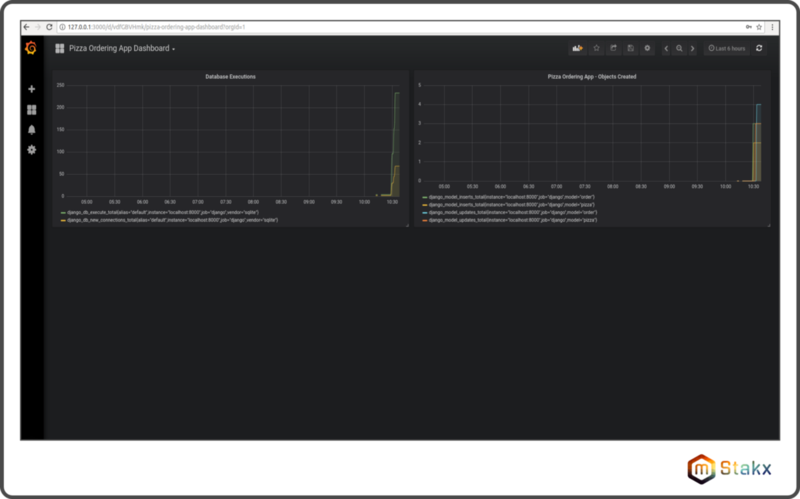 Grafana is an open source, feature rich metrics dashboard and graph editor that allows you to query, visualize, alert on and understand your metrics no matter where they are stored. It gives engineering teams ability to create, explore, and share dashboards and foster a data driven culture. One boilerplate to rule them all! With a fair understanding of Observability, and introduction to the tools/frameworks to achieve observable systems; we thought it would be a good idea to create a boilerplate to demonstrate the whole system in action. That way we would end up creating one boilerplate to rule them all! You can get started with this boilerplate with a single click, play around with it, and use it in your development/production environments to turn your applications into Observable systems. The boilerplate code is available on Github. Pull-requests are welcome to make it better and more useful for a varied production environments.